Start by following your target audience – perhaps fellow researchers, policy makers or the public. If your tweets are interesting and relevant, you will be followed in return. Don’t be fooled by sheer numbers, however, as your followers may totally disregard your tweets. You still need to carve out a loyal fan base, a true following of people who want to read more about what you have to say. 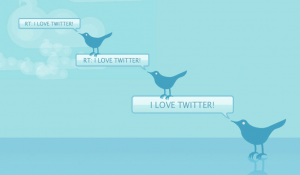 As you follow more people, your newsfeed will fill up with tweets. This is where things get interesting. Now you need to take the time to reply to these tweets and get to know your audience. Ask questions, share your opinion and discuss breaking news. Do not be shy. No one will introduce you on Twitter, but it is okay to jump in the mix and tweet to strangers. Remember that each discussion leads people back to your profile and ultimately your blog. Use the Twitter tools to your advantage: ‘favourite’ anything that makes you laugh or sparks your interest; ‘retweet’ posts that will interest your followers; high-jack ‘hashtags’ – when it is relevant –to promote your blog. Everyone likes to be complimented – bloggers are no different. Search for other bloggers in your field and take the time to read their posts. Offer constructive feedback and share their posts on Twitter; they will return the favour. Think before you tweet. Your audience follows you because they are interested in what you have to say. If you want to build a readership, it is important to keep your tweets relevant to your blog. Before you hit ‘Tweet’, take a moment to reconsider. Do your followers need to know what you ate for breakfast? Will anyone care that it is raining yet again? Probably not – unless it is part of some experiment you are running, of course. This may all sound like a lot of effort. It is tempting to return to the lab and forget about blogging – it is a hobby, after all. But hang on! I know that sharing my own work on Twitter helps to build a readership. It also stimulates interesting discussions: my blogs often offer advice but through Twitter I have also learnt from the feedback of readers. So what are you waiting for? Prepare your tweets, pick your hashtags, share your work. And remember to discuss and engage – your followers could become your greatest ambassadors, perhaps even collaborators.